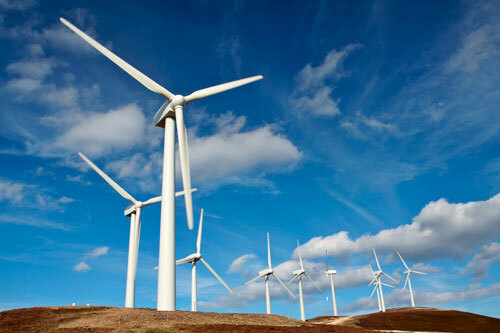 Wind power is the conversion of wind energy into a useful form of energy, such as using: wind turbines to make electricity. A large wind farm may consist of several hundred individual wind turbines which are connected to the electric power transmission network. Offshore wind farms can harness more frequent and powerful winds than are available to land-based installations and have less visual impact on the landscape but construction costs are considerably higher. 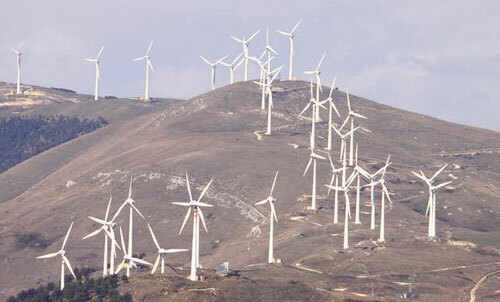 Small onshore wind facilities are used to provide electricity to isolated locations and utility companies increasingly buy surplus electricity produced by small domestic wind turbines. 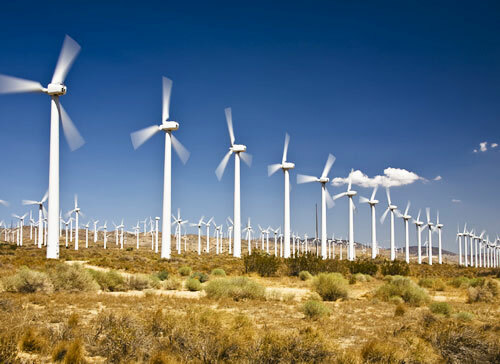 Wind power, as an alternative to fossil fuels, is plentiful, renewable, widely distributed, clean, produces no greenhouse gas emissions during operation and uses little land. Any effects on the environment are generally less problematic than those from other power sources. 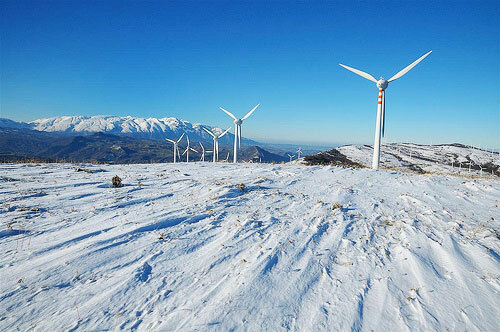 As of 2011, 83 countries around the world are using wind power on a commercial basis. As of 2010 wind energy production was over 2.5% of total worldwide electricity usage, growing at more than 25% per annum. The monetary cost per unit of energy produced is similar to the cost for new coal and natural gas installations. Although wind power is a popular form of energy generation, the construction of wind farms is not universally welcomed due to aesthetics. Although very consistent from year to year, wind power has significant variation over shorter timescales. The intermittency of wind seldom creates problems when used to supply up to 20% of total electricity demand, but as the proportion increases, a need to upgrade the grid, and a lowered ability to supplant conventional production can occur. Power management techniques such as having excess capacity storage, dispatchable backing supplies (usually natural gas), storage such as pumped-storage hydroelectricity, exporting and importing power to neighboring areas or reducing demand when wind production is low, can greatly mitigate these problems. Sailboats and sailing ships have been using wind power for thousands of years, and architects have used wind-driven natural ventilation in buildings since similarly ancient times. The use of wind to provide mechanical power came somewhat later in antiquity. The windwheel of the Greek engineer Heron of Alexandria in the 1st century AD is the earliest known instance of using a wind-driven wheel to power a machine. The first practical windmills were in use in Iran at least by the 9th century and possibly as early as the 7th century. The use of windmills became widespread use across the Middle East and Central Asia, and later spread to China and India. By 1000 AD, windmills were used to pump seawater for salt-making in China and Sicily. Windmills were used extensively in Northwestern Europe to grind flour from the 1180s, and windpumps were used to drain land for agriculture and for building. Early immigrants to the New World brought the technology with them from Europe. In the US, the development of the water-pumping windmill was the major factor in allowing the farming and ranching of vast areas otherwise devoid of readily accessible water. Windpumps contributed to the expansion of rail transport systems throughout the world, by pumping water from water wells for steam locomotives. The multi-bladed wind turbine atop a lattice tower made of wood or steel was, for many years, a fixture of the landscape throughout rural America. where ρ is the air density; v is the wind speed; Avt is the volume of air passing through A (which is considered perpendicular to the direction of the wind); Avtρ is therefore the mass m passing per unit time. Note that ½ ρv2 is the kinetic energy of the moving air per unit volume. 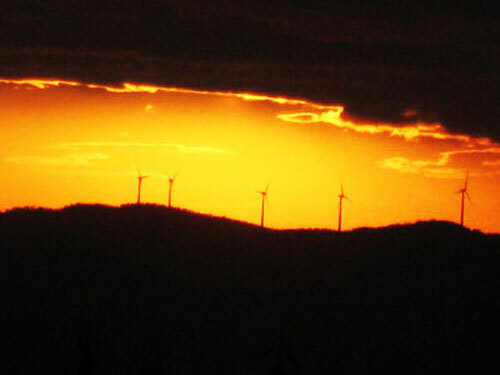 Wind power in an open air stream is thus proportional to the third power of the wind speed; the available power increases eightfold when the wind speed doubles. Wind turbines for grid electricity therefore need to be especially efficient at greater wind speeds. Wind is the movement of air across the surface of the Earth, affected by areas of high pressure and of low pressure. The surface of the Earth is heated unevenly by the Sun, depending on factors such as the angle of incidence of the sun’s rays at the surface (which differs with latitude and time of day) and whether the land is open or covered with vegetation. Also, large bodies of water, such as the oceans, heat up and cool down slower than the land. The heat energy absorbed at the Earth’s surface is transferred to the air directly above it and, as warmer air is less dense than cooler air, it rises above the cool air to form areas of high pressure and thus pressure differentials. The rotation of the Earth drags the atmosphere around with it causing turbulence. These effects combine to cause a constantly varying pattern of winds across the surface of the Earth. The total amount of economically extractable power available from the wind is considerably more than present human power use from all sources. Axel Kleidon of the Max Planck Institute in Germany, carried out a “top down” calculation on how much wind energy there is, starting with the incoming solar radiation that drives the winds by creating temperature differences in the atmosphere. He concluded that somewhere between 18 TW and 68 TW could be extracted. Cristina Archer and Mark Z. Jacobson presented a “bottom-up” estimate, which unlike Kleidon’s are based on actual measurements of wind speeds, and found that there is 1700 TW of wind power at an altitude of 100 metres over land and sea. Of this, “between 72 and 170 TW could be extracted in a practical and cost-competitive manner”. Wind power has low ongoing costs, but a moderate capital cost. The marginal cost of wind energy once a plant is constructed is usually less than 1 cent per kW•h. As wind turbine technology improves, costs are coming down. 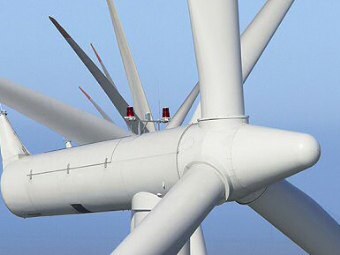 There are now longer and lighter wind turbine blades, improvements in turbine performance and increased power generation efficiency. Also, wind project capital and maintenance costs have continued to decline. A British Wind Energy Association report gives an average generation cost of onshore wind power of around 3.2 pence (between US 5 and 6 cents) per kW•h (2005). Cost per unit of energy produced was estimated in 2006 to be comparable to the cost of new generating capacity in the US for coal and natural gas: wind cost was estimated at $55.80 per MW•h, coal at $53.10/MW•h and natural gas at $52.50. Similar comparative results with natural gas were obtained in a governmental study in the UK in 2011. 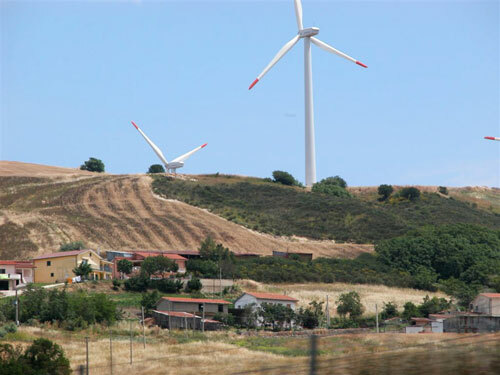 A 2009 study on wind power in Spain by Gabriel Calzada Alvarez of King Juan Carlos University concluded that each installed MW of wind power led to the loss of 4.27 jobs, by raising energy costs and driving away electricity-intensive businesses. The U.S. Department of Energy found the study to be seriously flawed, and the conclusion unsupported. The presence of wind energy, even when subsidised, can reduce costs for consumers (€5 billion/yr in Germany) by reducing the marginal price, by minimising the use of expensive ‘peaker plants’. There are anecdotal reports of negative effects from noise on people who live very close to wind turbines. Peer-reviewed research has generally not supported these statements.